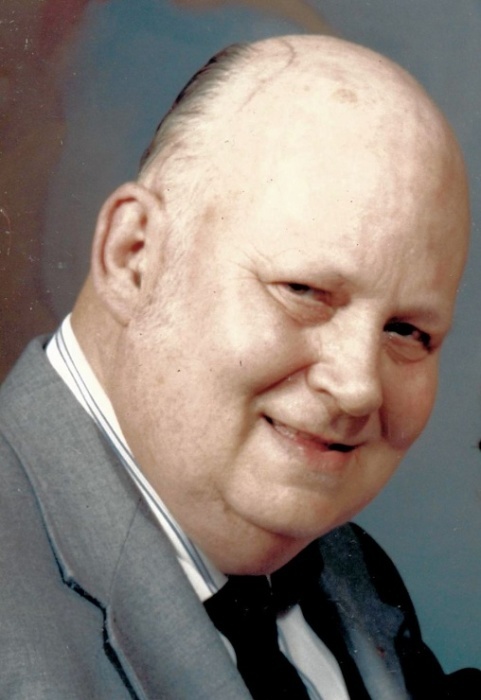 Edward E. Luckock, 80, formerly of Edgeview Dr., Conneaut Lake and a resident of Rolling Fields Nursing Home, died there, Thursday, August 28, 2014. He was born July 25, 1934 in Slippery Rock a son of Eugene and Ruth Baker Luckock. He married Barbara Walther at the Harmonsburg Methodist Church June 18, 1954 and she survives. He and his wife Barbara owned and operated the Luckock Shursave Grocery Store in Harmonsburg for 28 years, retiring in 2000. He previously worked at Krogers in Meadville, was a supervisor at Nickles Bakery in Orwell, OH and had also worked at American Viscose. He attended Wilkinsburg High School in Pittsburgh until his family moved to Harmonsburg in 1952. He was a very active union organizer, enjoyed researching genealogy, volunteered at the Crawford County Historical Society and assisted others with their genealogy research. He was a member of Conneaut Lake Presbyterian Church, Masonic Lodge #234 and Conneaut Lake Odd Fellows. He enjoyed attending his children’s sporting events in Conneaut Lake and his grandchildren’s sporting events at Conneaut Valley. Survivors, in addition to his wife Barbara of 60 years, include: two sons, Raymond E. Luckock and his wife Dorothy of Conneautville and Ronald E. Luckock of Saegertown; two grandchildren, Melissa Schwab and her husband Nic and Emily Luckock; a sister, Darla Swift and her husband Wayne of Greenville and a brother, Fred Luckock and his wife Margie of Monongahala. In addition to his parents, he was preceded in death by a son, David Ross Luckock. Calling hours will be Saturday from 2-4 p.m. at the Waid-Coleman Funeral Home, Inc., 12422 Conneaut Lake Road, “Conneaut Lake. The funeral service will follow Saturday at 4 p.m. at the funeral home with the Rev. Dave Brumagin, officiating. Interment will be in Evergreen Cemetery, Harmonsburg. The family suggests memorials be made to Shontz Memorial Library, P.O. Box 5117, Conneaut Lake, PA 16316 or the Conneaut Lake Area Historical Society, P.O. Box 425, Conneaut Lake, PA 16316.